Terry I. Elwood, 82, passed away Thursday, February 4, 2016 at Birchwood Nursing Home in Burlington, Vermont after a short illness. She was born on March 1, 1933 in St. Albans, Vermont to the late Mabel (Hoague-Ashline) Trombley of St. Albans, Vermont and the late Arthur Ashline also of St. Albans, Vermont. She was married to Gordon E. Elwood, who predeceased her on January 4, 2015. They both lived many years in New Milford, Connecticut before returning back to reside in Swanton, Vermont for many years. She is survived by a daughter Diane Jones and husband Tim of Florida, a son Bob Mott and wife Robin of RockHill, South Carolina, a daughter Debbie-Lee Wells and husband Rick of Poplar Bluff, Missouri, and a son Steven Cross of Winooski, Vermont. 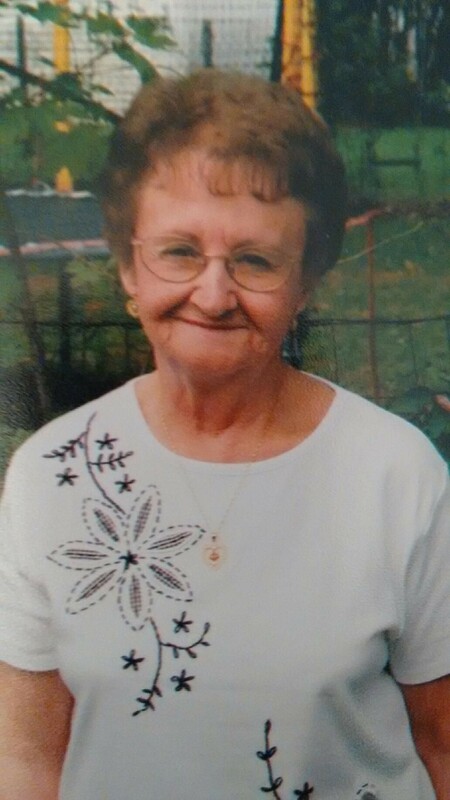 She leaves several grandchildren, great grandchildren and many nieces and nephews. One brother Pete Ashline and wife Dorine of Vermont, sister Gloria Donaghy and husband John of Florida, a sister Betty Ann Blodgett and partner Larry also of Swanton, Vermont. She was predeceased by a son Larry Mott of New Milford, Connecticut, and two sisters, Geraldine Cable of New Milford, Connecticut and Lucielle Pelkey of Swanton, Vermont. She is sadly missed by those who loved and knew her, but will remain in our hearts forever! Arrangements are under the direction of Champlain Cremation, champlaincremation.com.